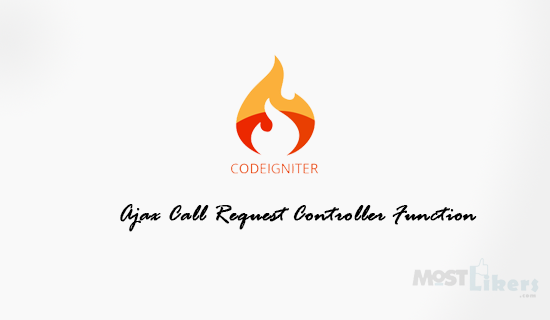 CodeIgniter Ajax Call Request Controller Function is very simple tutorial, I am assuming that you already know how to use Ajax and call functions. In this article you'll learn how to use Ajax calls within your CodeIgniter controller functions. Here i have used jquery function to post and get the data response from the controller. Follow the step by step ajax request call functions. Performing GET and POST requests using Ajax json datatype it will make easy to load the data, I would suggest to follow JSON format controller response. The above Syntax data that is sent to the url page like form post action. and after performing some task it will return data to view page without refreshing. GET JSON load the encode data from the server using HTTP request like form get method. Create one simple HTML form element based on your design needs or follow the below live demo file structure. the live demo registration form i have posted the values to the ajax_post_form() functions. $("#reg_form").serialize() - Serialize form attribute data send to the server request. <?php echo site_url(); ?> - Returns base_url + index_page + uri_string. $('.ajax_success').html('data.name') - Displaying the json response data. json_encode() - convert array value to JSON value.